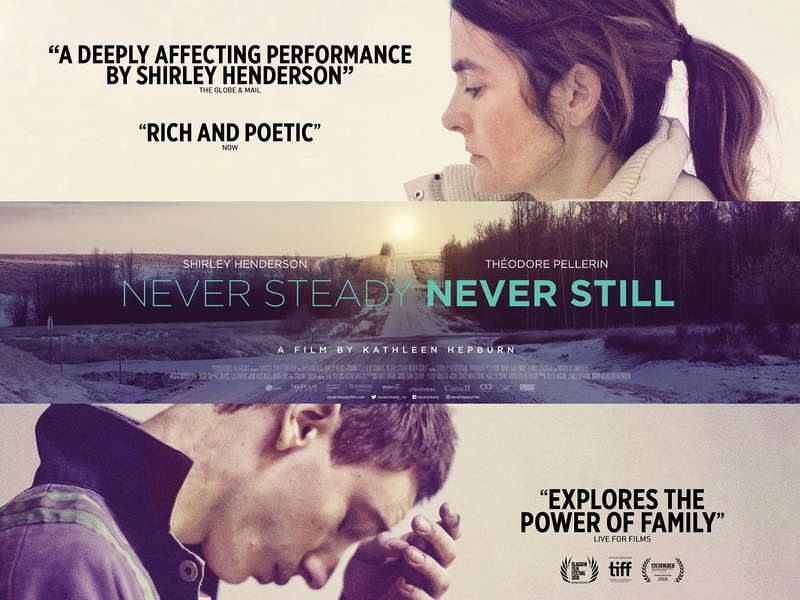 From first-time filmmaker Kathleen Hepburn, NEVER STEADY, NEVER STILL is a tender and heart-breaking story of a physically disabled mother and her discontent son - each alienated from their worlds and struggling to manage in the face of guilt and chronic disease. Hepburn mines her own experiences of living with her mother who struggled with Parkinson's disease. The film stars Shirley Henderson and Théodore Pellerin. NEVER STEADY, NEVER STILL in UK cinemas on April 20th.